Your meter is located in a small concrete meter vault near the street. View the District’s video on how to access your water meter below. 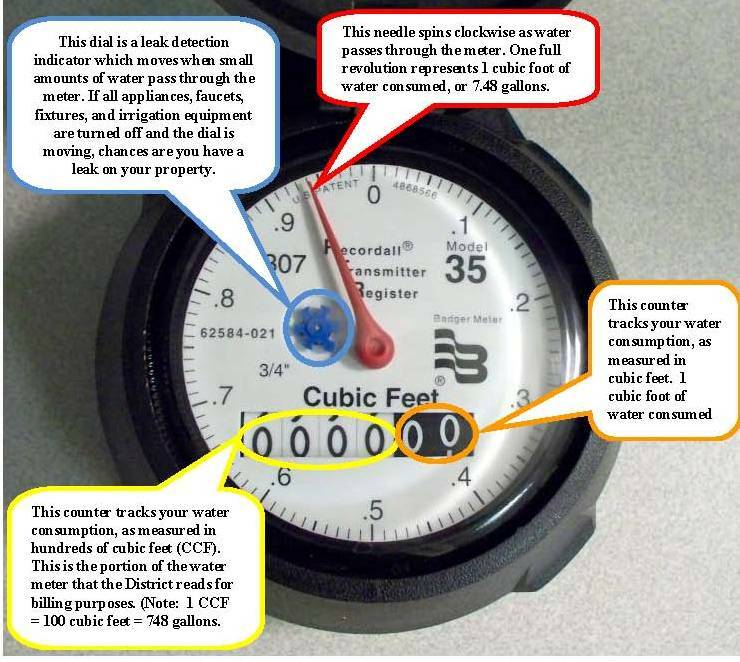 The information and pictures below describes how to use your meter to track how much water is being used. The numbers circled in orange tracks your water consumption, as measured in cubic feet. 1 cubic foot of water = 7.48 gallons. The red needle spins clockwise as water passes through the meter. One full revolution represents 1 cubic foot of water consumed, or 7.48 gallons. This blue dial is a leak detection indicator that moves when small amounts of water pass through the meter. If all appliances, fixtures, and irrigation equipment are turned off and the dial is moving, chances are you have a leak on your property. 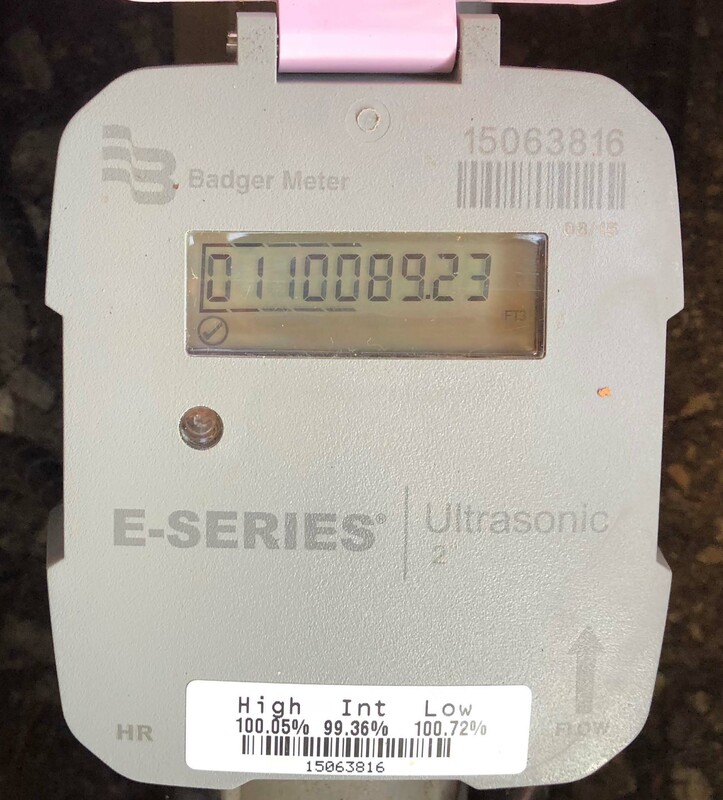 The LCD Screen Meter has a Liquid Crystal Display (LCD) to show consumption, flow, and status indicators. 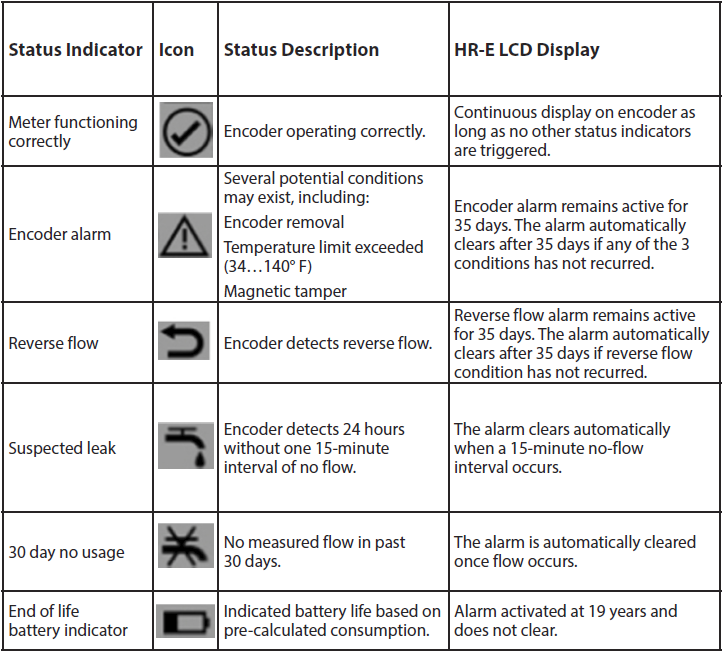 Please see the chart below which explains the different status indicators, status descriptions, and icons that may appear on your LCD Screen Meter. 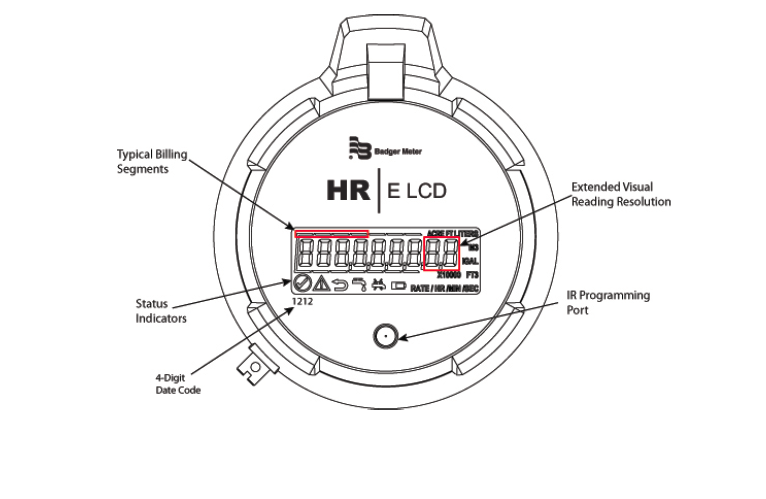 The Recycled Water Meter features an easy to read, high resolution LCD display screen. The LCD screen reports consumption, rate of flow, reverse-flow indication, and alarms.